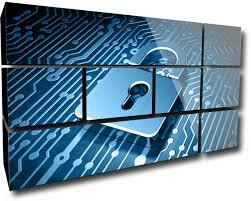 A firewall's primary objective is to prevent unauthorized access by hackers and costly business interruptions. Media3 Managed Firewall services offer around-the-clock support, deployment flexibility, integrated threat analysis and predictable costs so you can leave the heavy lifting to us and focus on running your business. Media3 Managed Firewall services provide complete management for third-party firewall products. Our NextGen Firewalls are purpose-built to optimize network traffic flows in virtual environments – adding intelligence that improves your server performance while securing it. Unlike traditional firewalls, our firewalls are application-aware, enabling you to regulate application usage and prioritize network traffic. Featuring advanced security capabilities, including integrated Intrusion Prevention (IPS), URL filtering and antivirus to identify and block evasion attempts that would trick traditional systems.